Correlation is used to measure strength of the relationship between two variables. It can be positive, negative or zero. Positive Correlation : Both variables tend to move in the same direction: If one variable increases, the other tends to increase. If one decreases, the other tends to decrease. 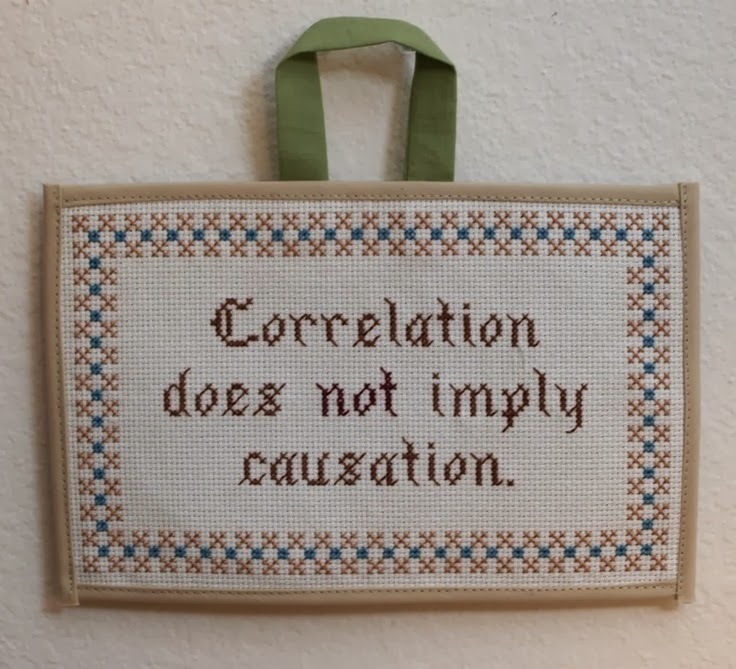 Negative Correlation : Both variables tend to move in the opposite directions: If one variable increases, the other tends to decrease, and vice-versa. Note: The correlation coefficient may take on any value between +1 and -1. 1: How are sales of ABC Company and GDP related? 2: How are annual returns on Treasury Bills and Bonds related? When you need to calculate correlation between more than two variables, it is generally called correlation matrix. It is also called multiple correlation coefficient. Let's solve it with a case study. Suppose you would like to know whether there is a relationship between grades and number of hours you spend studying. You can download the workbook used in this example and practice what you learn. 3. 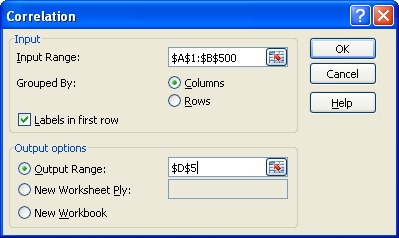 Select the data range (both independent and dependent variable) in the Input Range box. 4. Check Labels in first row and enter range in the Output Range box and Click on Ok.
As you see the correlation between the grades and number of hours you spend studying is a very positive correlation (84%). This means as more number of hours students study their grades improve. How to deal with outliers when doing correlation? Solution: Look at the residuals from a regression by plotting the points to a scatter diagram. If they are not normally distributed around 0 the realibility of the Pearson correlation could be unreliable. 1 Response to "Correlation Matrix Using Excel"